As part of the launch of Mayor Boris Johnson’s YOU Matter (Youth Organisations in Uniform) programme, the Mayor has become a member of the Immobilise National Property Register with the aid of the Merton Volunteer Police Cadets. Volunteer Police Cadets demonstrated Merton Police’s latest crime fighting kit, a laptop and scanner provided by the National Mobile Phone Crime Unit (NMPCU), which uploads mobile phone IMEI numbers to the secure crime prevention web site at immobilise.com. I would say to any young person, come on and give it a go! Using the Mayor’s own phone, the Cadets explained how police use the unique IMEI number to identify stolen mobile phones and arrest offenders, whilst registering his handset on the free property protection database. In plans outlined by the Mayor today, thousands of youngsters will have the opportunity to join uniformed groups like the Volunteer Police Cadets, Guides, Scouts and Armed Forces Cadets. The £1.3 million programme, being run by the Safer London Foundation, will help young people develop vital skills and instil discipline and responsibility in young people, particularly those who are or at risk of being excluded from education, training or employment. The initiative is part of Team London, the Mayor’s strategy to harness volunteers to deliver key projects to improve the quality of life and opportunities of Londoners. Uniformed groups are a fantastic way for youngsters to get involved in a myriad of activities, which will help equip them with the skills they need to succeed in life. It’s a modern tragedy that so many of our young people are struggling to get a foothold in the jobs market and are drifting into crime. By instilling self reliance, discipline and a sense of competition, young people can aspire to a better future. The Guardian News paper has reported that Police officers have been given a faster method of checking whether a mobile phone has been stolen, with a new link between the National Mobile PropertyRegister (NMPR) and the Police National Computer (PNC). The National Policing Improvement Agency (NPIA) has integrated the NMPR into the PNC. This will make it possible for officers on the beat to access the NMPR directly through their handheld devices. For the first time frontline officers can now obtain instantaneous results of searches on suspected stolen mobile phones. The figures of 50,000 plus stolen phones a year being located and identified throughout the UK will further increase with this new Police National Computer facility. It sends a clear message to phone thieves that police and partners can identify stolen mobile phones in the hands of the thief or another individual. The NPIA developed the integration with the help of Recipero the providers of the NMPR and Immobilise services which specialise in online compliance and due diligence software. Wiltshire Police are encouraging individuals and businesses to register their possesions and assets on the Immobilise National Property Register. According to a recent new item on the Wiltshire Police website, the thefts of mobile phones continues throughout this County, although they (Wiltshire Police) have been promoting use of Immobilise for some time now, it is appropriate to remind everyone of the free mobile phone registration service called Immobilise. 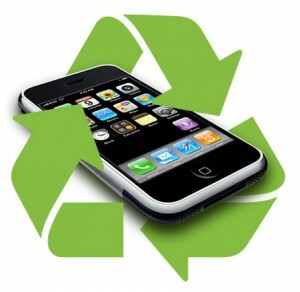 Many thousands of mobile phones are lost or stolen each year in the United Kingdom. 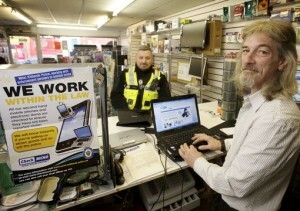 With you help we can make your phone safer and help to reduce mobile phone crime. The National Mobile Phone Register already holds the details of many millions of mobile phones. Add your details now to protect your phone and help the National Mobile Phone Crime Unit (NMPCU) stop criminals. Exclusive to Immobilise, all account holders registered items and ownership details are viewable on the Police national property database. As a direct result of daily checks on Immobilise there are over 250 cases a week where property is returned to owners, or information collected that assists the Police in investigating criminal activity, involving stolen goods. The recorded information can help you after loss, theft or fire to complete insurance claims, report stolen or lost property to the Police and mobile phone networks. Immobilise is also the only ownership registration service supported by all the UK Police forces, the Greater London Authority, Transport for London and The Mobile Phone Industry. 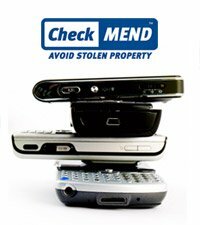 Uniquely via your Immobilise account any registered item reported as lost or stolen appears on the Stolen Equipment National Database and CheckMEND allowing them to be identified as stolen by the Police and second hand trade.